The UP minister alleged that Mr Gandhi was trying to "convert lies into truth" by continually repeating them. Hitting back at Congress president Rahul Gandhi for using "foul language" against Prime Minister Narendra Modi, Uttar Pradesh minister Sidharth Nath Singh said Tuesday the Amethi MP had graduated from being a 'shehzada' (prince) to "an emperor of lies". Alleging that the Congress chief was misleading people, Mr Singh, who is also a spokesperson of the UP government, demanded that Mr Gandhi spell out details to substantiate his claims on the then UPA government's decisions on the Rafale deal. "The shehzada has graduated and become the shehenshah (emperor)...Rahul Gandhi has become an emperor of lies. I am saying this as yesterday in Amethi he presented a story that was a total lie," Mr Singh said attacking Rahul Gandhi. "Rahul is saying his (UPA) government had inked a deal with Rafale for 126 fighter jets. He says the order was given to HAL. I want to know from Rahul Gandhi about the dates of these events. Please tell the country what the deal was (with Rafale) and what order was placed with HAL," Mr Singh said. Asked if the Rafale issue would impact the 2019 Lok Sabha elections, Singh said he did not believe so as elections were not fought on "lies". 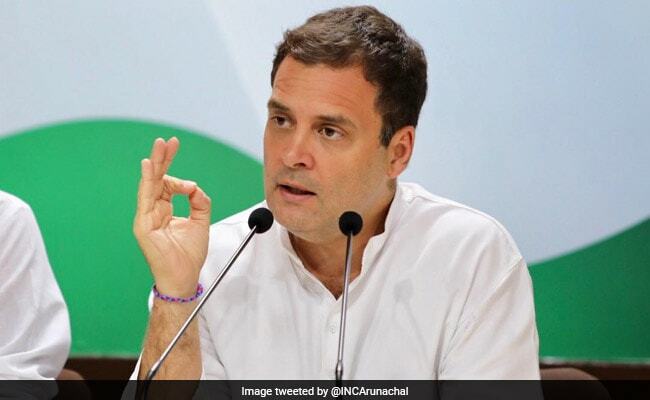 The Congress chief had in Amethi on Monday demanded answers from Prime Minister Modi on several issues related to the Rafale deal. Mr Gandhi had charged that the country's "chowkidar" Narendra Modi snatched money from the poor and handed it over to industrialist Anil Ambani.